I always forget and have to add that I received a copy of this book from the author in exchange for an honest review. I don’t read a lot of young adult fiction, but I have to admit Susan Kaye Quinn’s Singularity series has captured and kept my attention. Ms. Quinn is a skillful writer whose characters come alive on the page. The story is complex and riveting. This is the second book in the Singularity series and I cannot wait to read the third one. I enjoy this series so much that I chose it as my book to recover with after surgery and was not disappointed. It’s taken me awhile to heal up to write the review, but I very much enjoyed the story. It was a great distraction. For those that aren’t familiar with the series, Elijah Brighton is a legacy human in a world where technology has advanced to a level where humans are able to ascend into mechanical bodies that allow them to essentially live forever. He was an experiment by some of the ascended, which makes him both valuable and dangerous. This book follows Eli on his adventure to determine his true purpose and help protect his friends and family from those who fear Eli’s potential and what his capabilities mean for those who are already ascended. Eli and his companions are thrust into a dangerous war between the ascended that leads them on a virtually non-stop quest filled with danger and adventure. There’s a lot going in this series and it’s difficult to spell it out without giving away too much of the story beyond the book description. Overall this story is about what it means to be human and what makes us love and fight to protect those closest to us. In essence, the spirit or soul is at the forefront of this story. The author does a great job of keeping it balanced and not too far down the religious path. If anything, Eli is on a spiritual journey not a religious one. I thoroughly enjoyed this installment in the series and am looking forward to the next one. I would suggest it for anyone who enjoys a well thought out story. There’s plenty of action as well as thoughts to ponder. An intelligent series for anyone who enjoys a good story. A great story to share if you have young adults you want to share a story experience with. Coming soon a review of some new short stories from Nicholas Rossis and other books that I read during recovery. I probably have more reviews to write than my followers care to read in one week so I’ll try to spread it out a bit. Happy reading. Hi all. I was expecting to be back on the blog by now, but I had a full hip replacement and am not quite back to sitting at a desk and typing. 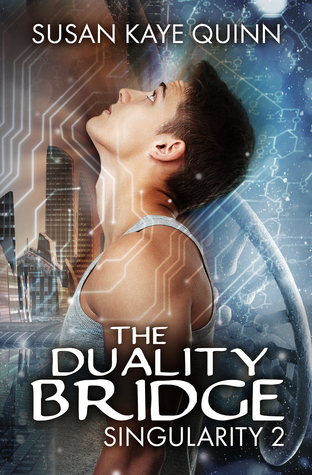 I finished The Duality Bridge by Susan Kaye Quinn and hope to share thoughts on that book and others again in the next week or so. Killing characters is sometimes necessary. No one lives in a world where no one dies. Great post from Nicholas Rossis. I was reading the other day a fascinating post, Killing the Mary-Sue, by Chiyome. As I am currently debating killing a character or two in my WIP, the fourth book of my epic fantasy series Pearseus, her musings made me wonder about the role death plays in our works. Both Schism and Rise of the Prince (the two first Pearseus books) had their fair number of untimely death, culminating in a couple of (hopefully) unexpected ones. However, everyone said those deaths made perfect sense, and accepted them. 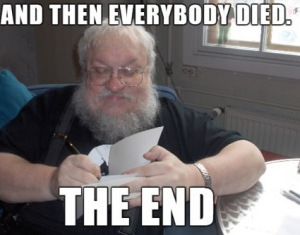 Mad Water, the third book, also seems to have a successful ending, even if the death toll is lower – leading a reviewer to comment that it was closer to a TV series, where characters manage to cheat death more often than not.